Every day at 8:30am, Glenn Glieber gathers his leaders for a brief business update. The team reviews sales results from the prior day, and then they openly discuss key issues in a group setting. Today, I've been asked to Skype-in and share my findings. Glenn Glieber (Owner): "... so it looks like we have consensus. Next April, the catalog will be 108 pages with a 16 page prom insert. We all believe that the creative presentation will be more beneficial for the brand than simply churning out another 124 pages. It's up to creative to call out this key distinction, and make it resonate with the customer. Sarah, was your team able to measure the financial impact of an April 5-7 in-home window vs. an April 7-9 in-home window?" Sarah Wheldon (Marketing): "My team says that a April 5-7 in-home window will generate a 2% increase in demand, so let's go with April 5-7." Glenn Glieber: "See, folks, just fifty more ideas like this, and we double our sales for the year. This business is all about discipline, about pushing the peanut 2% at a time. Big ideas are few and far between. There's a thousand 2% ideas, low hanging fruit, money lying on the ground waiting to be picked up. PICK IT UP!" Kevin: "Yup, nice to see you all". Lois Gladstone (Finance): "Many of you have already met Kevin. He's working on a ... um ... uh ... what do you call it, Kevin?" Sarah Wheldon: "Multichannel Forensics, right Kevin??!!" Kevin: "Yes, I'm working on a Multichannel Forensics project. Basically, we're studying how customers interact with advertising, products, brands, and channels." 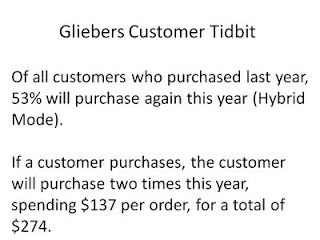 Glenn Glieber: "From time to time, we'll have Kevin share with us what he calls 'tidbits', facts about our customers. Kevin, what do you have today?" Kevin: "Today I'm going to share with you a slide that illustrates how loyal your customers are." Meredith Thompson: "Oh, they're really loyal. I spent time in the call center last week listening to customer calls. I participated in live chat. You should have heard these people, they absolutely love us. This woman in Buffalo said she purchased something like a hundred dresses from us over the past few years." Sarah Wheldon: "And they like us across channels. They get our catalogs and they subscribe to our e-mail campaigns." Lois Gladsone: "Loyalty is important. It costs more to acquire a new customer than it does to retain an existing customer." Kevin: "Thanks for your thoughts, everybody! I always include simple, basic statistics on my first slide. Here we go. We're looking at customers who purchased in 2007, measuring the percentage of customers who purchase again in 2008." 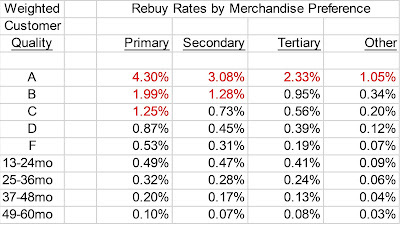 Kevin: "The data tell us that 53% of the customers who purchased in 2007 will purchase again in 2008. This puts your business in "Hybrid Mode", a situation where you grow it by working hard to retain customers and by working hard to acquire new customers." Glenn Glieber: "53%? That can't be right. Our customers are so loyal. Are you only looking at international customers, they don't get catalogs you know?" Meredith Thompson: "That has to be wrong. I told you I heard this woman in Buffalo talking about how she purchased something like a hundred dresses from us." Roger Morgan (Operations and Information Technology): "And our call center staff are the best. I'm telling you, that cross-sell promotion we ran last fall had to increase loyalty by ten or twenty points. Did you see some of the bonus payouts that some of our associates earned?" Lois Gladstone: "This is great, Kevin!! This totally validates what I've been saying about loyalty for the past month. We need to plug the holes. If I'm reading this metric the right way, and I think I am, we are losing half of our customers every single year. That's pathetic! If we focus our efforts on retaining customers, we wouldn't have to lose all this money trying to acquire new customers. Think about programs like Amazon Prime. All that free shipping for a small fee keeps customers loyal. I'll bet Amazon doesn't lose half their customers every year." Pepper Morgan (Creative): "You all know that I've been advocating the refreshment of our creative brand platform for some time. This idea that our customer is married to one version of merchandise presentation is simply inadequate when considering the modern, fashion-forward customer. We're boring our customers to death by showing the same dress in the same presentation style 24 times a year. Meredith Thompson: "We've gone round and round on this topic. When we change the merchandise presentation, our sales decline, by ten or fifteen or even twenty percent. We have the data to prove it. We even have the website conversion data, when we shift our creative strategy, conversion rates drop by twenty-five percent.."
Pepper Morgan: "And now Kevin has given us the data that proves that half of our customers leave us each year. So what we've been doing isn't working." Meredith Thompson: "Maybe this is a website issue. Sarah, what is our conversion rate online?" Meredith Thompson: "Eight percent. Eight stinkin' percent? That website, all of that 'sterile shopping' and getting the magnifying glass out to look at thumbnail images 1 - 100 and the like, that's the problem. If we didn't lose 92% of all of our visitors, we'd retain more than 53% of our customers, right? It's just simple math." Roger Morgan: "Our website is ranked #487 by Internet Retailer, I'll have you know. The website is fine. Customers either don't like the merchandise on the website, or we're driving the wrong traffic to the website That's the real reason why we only convert eight percent of our visitors." Sarah Wheldon: "We're driving the wrong traffic? Help me understand what the 'right' traffic would look like, and show me the data that suggests we are driving the wrong traffic?" Pepper Morgan: "The 'right' traffic would be a fashion-forward consumer who cannot afford the luxury of Neiman Marcus but wants to attend the same social functions as the Neiman Marcus crowd. I'm fearful that you're driving the Olive Garden crowd to our website, and they get intimidated when they see our offering and head off to Anna Carter instead. What is the conversion rate on the Anna Carter website, 37%?? 42%?? It's got to be high." Sarah Wheldon: "Do those people exist on some magical list somewhere? If so, I'd pay $200 per thousand for access to that list. I mail two audiences, people who purchased from us in the past, and people who have never purchased from us. And we only e-mail customers who opted-in to receive e-mail messages. So the majority of the audience that hears from us already purchased from us." Lois Gladstone: "And we lose a ton of money on the audience who never purchased from us. I think the answer lies in increasing customer loyalty. If we put marketing programs in place to increase customer loyalty, then all of this talk becomes a non-issue." Roger Morgan: "Did you read that J. Crew cut circulation by 27% and didn't see a difference in direct-to-consumer sales? That's loyalty ... these retailers have learned that they don't even have to mail catalogs anymore. Maybe we could cut both retention and acquisition circulation!" Sarah Wheldon: "Seems like a lot of people know what the marketing strategy should be." Glenn Glieber: "Like I said earlier, if we focus on fundamentals, then this business works. If we find fifty 2% solutions, we double the size of our business. Man, this has been a great discussion. The vibe is back! Meredith, this is like 1994 when we were scrambling to find lists to mail our catalog to after your Oscar mention." Kevin: "All of your viewpoints are supportive of what I call 'Hybrid Mode'. Anytime a business retains between 40% and 60% of last year's customers, it is in 'Hybrid Mode'. These businesses grow by retaining customers and by acquiring new ones. 53% isn't good. 53% isn't bad. 53% simply 'is'. The retention rate determines your strategy. If your retention rate is 23%, like it is for some of my clients, we'd be having a one-way discussion about the best ways to keep acquiring new customers. If your retention rate is 84%, we'd be having a one-way discussion about all of the ways to keep best customers loyal to us. At Gliebers Dresses, we have to focus on everything." Lois Gladstone: "I still think we need to focus on loyalty". Glenn Glieber: "Kevin, can you come back on Wednesday to offer us another 'tidbit'? Kevin: "Certainly, we'll see you then." Glenn Glieber: "Ok folks, back to the agenda. The next topic is "Day Dresses ... a hyperlink or an actual tab on the homepage? Roger and Pepper are proposing demotion of the tab to a hyperlink, what do all of you think?" We all have beat the problem to death ... we understand the changing times ... the academic debate ... what we need is reasonable ideas of what to do. This case study helps my self esteem in reinforcing that I am not alone in being short on good ideas (have lots of bad and small ideas). Scanning back to the beginning of this story owner says “Maybe we could get Oprah to Tweet about our merchandise, what do you think about that idea? Honestly, I don't know the answer. That's the frustrating part of this. That's why we're hiring people like you." The beauty of the business world is that it is not easy to become the next Zappos. If it were easy, everybody would do it. And Zappos tells you how to become the next Zappos. 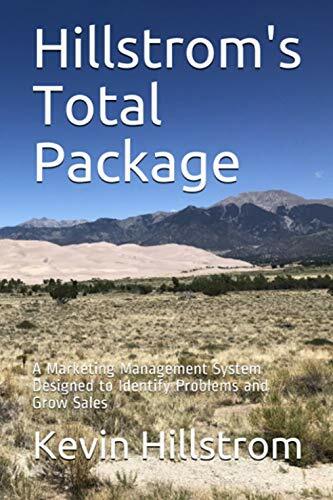 Offer more skus than anybody, deliver the merchandise to your door 1-2 days later for free, offer to take the returns for free, don't annoy the customer with a lot of marketing, execute search marketing to the tune of +/- $20,000,000 a year, tweet/blog yourself at unprecedented levels. The hardest part of that ... make it possible for a zillion skus to arrive for free in 1-2 days, that's the part that folks choose not to replicate. Zappos offers everybody the blueprint, not many folks choose to follow it. They offer you a reasonable idea of what to do. Do it!! I especially like how in the case study you're doling out information in incremental, digestible pieces for the business. Your experience is obvious. Well done Kevin. Hi Mark --- the biggest complaints I received were to reduce frequency and to make the content more digestable. We'll see if this series of posts accomplishes that, so far, it is being received well.